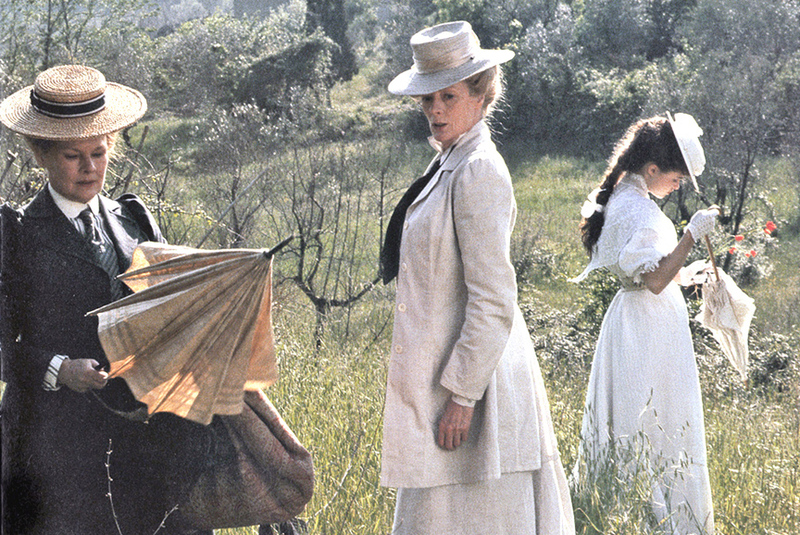 A Room with a View, the award-winning film directed by James Ivory and adapted from E.M. Forster’s 1908 novel, has become a classic of twentieth-century film-making. Following its release in 1986 it has helped to bring Forster’s light satire of Edwardian morals and manners, on which it is closely based, back into the public consciousness. The Merchant Ivory team of Ismail Merchant as producer, James Ivory as director and Ruth Prawer Jhabvala, scriptwriter, had collaborated on feature films since 1963, and they specialised in adapting English language classics for the cinema. A Room with a View is not as complex as Forster’s later novels, but its enduring appeal lies in its colourful cast of characters, witty dialogue, and amusing play on the manners and morals of the day, as well as Forster's sympathetic portrayal of his heroine, Lucy Honeychurch. The book’s qualities are vividly reflected in the film, which was shot in Florence and in Kent over ten weeks, during the summer of 1985. Sarah Quill will discuss the making of the film and will illustrate her talk with the photographs she took, both on and off the set. Sarah has worked between London and Venice since 1971, building up an extensive photographic archive of Venetian architecture, sculpture and daily life. She has also worked as the stills photographer on a number of feature films, including Wagner (1982), Nineteen Eighty-Four (1984), A Room with a View (1986), and White Mischief (1988). Her book, Ruskin’s Venice: The Stones Revisited was published in 2000, followed by a new and extended edition in 2015, which has recently been translated into Italian. She lectures regularly, principally on Venetian subjects, and is a trustee of the Venice in Peril Fund. Members who wish to attend the AGM, but not stay for the lecture, are not required to pay a fee or book online. But they are requested to contact Elisabetta by e-mail or telephone to confirm their place.